The New Flagship Media Partner of Lake County Captains Baseball. Ohio Media School streams all 140 Captains games live! Visit allsportscleveland.net. 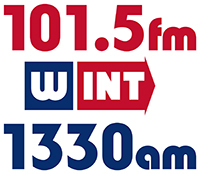 Captains games (Monday through Saturday) will be carried on WINT 1330 AM, beginning with the Captains Warm-Up Show 20 minutes prior to each game. Captains games (Sunday) will be carried exclusively on ESPN 970 WFUN, beginning with the Captains Warm-Up Show 20 minutes prior to each game. Listen Live to each game on your iPad or iPhone by following this link. Andrew Luftglass is the Captains Play-by-Play Radio Broadcaster and Assistant Media Relations Manager, bringing with him four years of experience in professional baseball. Andrew began his career in 2012 as the voice of the Burlington Royals, the Rookie-level affiliate of the Kansas City Royals, in Burlington, NC. During his time in Burlington, the Denison (OH) University alum also served a dual-role as Media Relations Manager of the Can-Am Baseball League. Following a two-year stint in Burlington, Andrew served as a Broadcasting and Media Relations Assistant for the Brevard County (FL) Manatees, the Class-A Advanced affiliate of the Milwaukee Brewers, in 2014. Last season, the Montclair, NJ native became the Director of Broadcasting and Media Relations of the Sussex County Miners, a member of the independent Can-Am League, based in Augusta, NJ.